Mikrotron introduces the first high-speed machine vision camera with a fully integrated fiber solution. The fanless 3 megapixel camera EoSens 3FIBER is capable of transmitting data up to a distance of 300 meters and runs up to 566 frames per second which are transmitted through the fiber interface. Based on a full resolution of 1,696 x 1,710 pixels the frame can be reduced continuously and allows frame rates up to 225,000 at smaller ROIs. The compact and robust MTP/MPO connector ensures that the camera does not disconnect even during fast and sudden movements. The thinness of each individual fiber allows bundling all fibers into one cable that transmits the entire data. An additional benefit is the camera’s ultra-slim design. 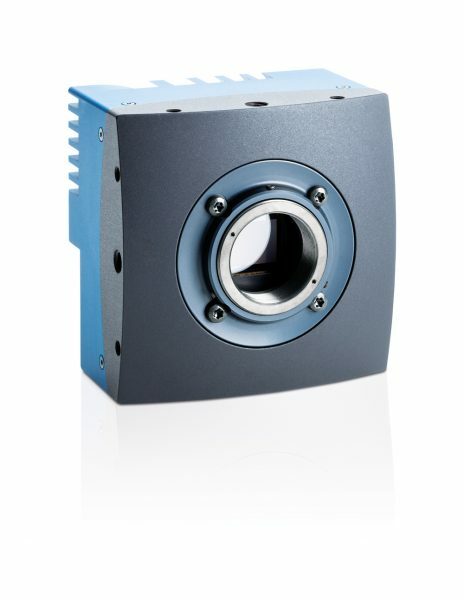 At a size of 80 x 80 x 58 mm with c-mount adapter the camera can be integrated easily into existing production lines, machinery or moving equipment. Compared to copper-based solutions the overall system costs of the fiber solution are comparatively low due to lower cable price per meter and the fact that the fiber interface is both integrated in the frame grabber and the camera. In order to exploit the full capacities of the new fiber high-speed solution the camera can be equipped with a fiber grabber from KAYA Instruments. The whole set of features makes the camera ideal for all application fields where high data/frame rates in connection with long cables are needed such as inspection tasks in industrial processes or in the transportation sector. The camera is also best choice for application areas with possible electromagnetic interference, as well as to operate multi-camera applications where several cameras need to operate synchronously over long distances. Possible applications include for instance inspection of train axes, tires and overhead cables in transportation, various production inspections in industry such as automotive, and even recording/monitoring of ballistics and missile launches.